The Vampire Diaries Pictures: Who's Returning?!? Who will return to The Vampire Diaries before the series concludes? We have all the details you need on the matter. SPOILER ALERT! The Vampire Diaries Finale Teaser: SHE'S BACK! On The Vampire Diaries Season 8 Episode 16, Elena Gilbert will return to The Vampire Diaries, but which character will die? Check out the promo! The Vampire Diaries Photos: Will Damon and Stefan Kill Cade? On The Vampire Diaries Season 8 Episode 14, the Salvatore brothers will go on a mission to save Elena's casket, but will they succeed? Here's a look ahead. It's Christmas Eve on The Vampire Diaries Season 8 Episode 7, and Caroline's throwing a party we won't soon forget. Will everyone make it out alive? Which The Vampire Diaries characters will be appearing on The Originals after the CW hit comes to a close? We have the first scoop for you on who will make the transition. The Vampire Diaries Cast Previews Season 8, Resident Evil and HERO HAIR! The Vampire Diaries Season 8 promises to be the series' darkest hours yet! Will our favorites make it to the end alive? Will there be ANY happy endings? Keep reading for more! A very familiar face will make a return to The Vampire Diaries on Season 8. Read on to see who it will be! The Vampire Diaries Season 8 will be a transitional season for the series, but how will they be able to move on after that huge finale? We have the first details! 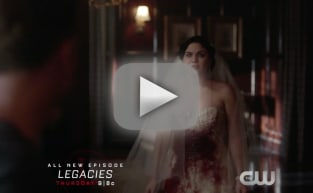 The Vampire Diaries Spoilers: What Lies Ahead? The Vampire Diaries Season 7 is winding down and The CW has released several photos from the final episodes of the season. We have them all after the jump! The Vampire Diaries Picture Preview: Is Bonnie Safe? On The Vampire Diaries Season 7 Episode 18, Enzo tries to save Bonnie's life, while Alaric and Damon team up to help Stefan. We have the stills from the episode! The Vampire Diaries Season 8 is a go. But Ian Somerhalder hints here that the series may say goodbye after next year. The Vampire Diaries Photo Preview: Listen Up, Lily! Damon and Stefan take Lily hostage on The Vampire Diaries Season 7 Episode 7. Check out photos from the Thanksgiving-themed episode now.